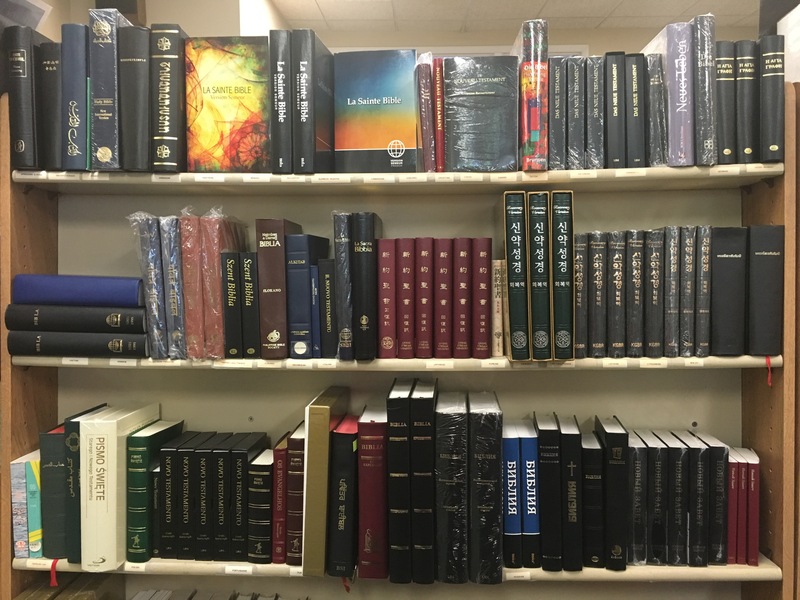 The Recovery Version is an accurate translation of the original Hebrew and Greek Scriptures. 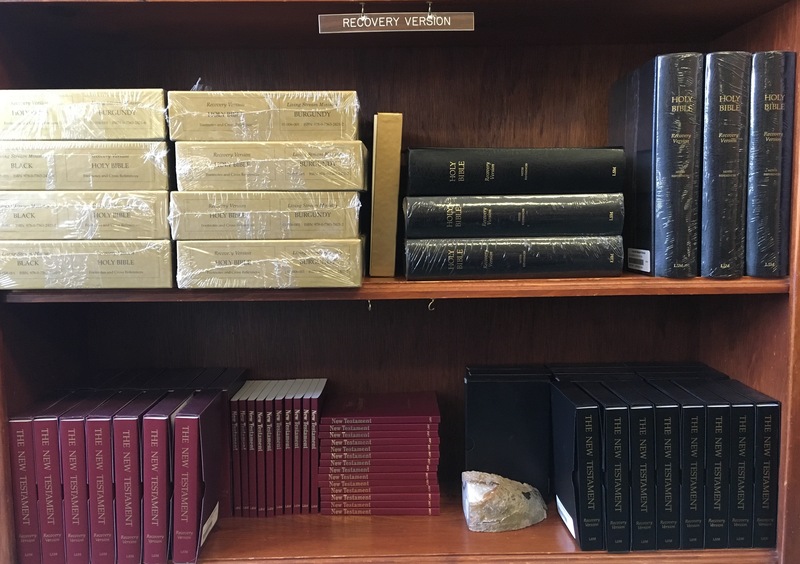 The New Testament outlines, charts, footnotes and references were composed by Witness Lee, a close co-worker of Watchman Nee. 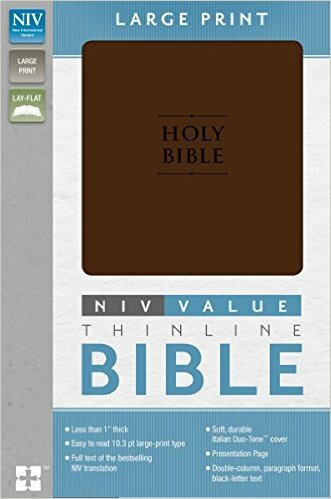 This study Bible presents biblical truths and relates them to the Bible’s central theme – God’s plan to dispense Himself into mankind. 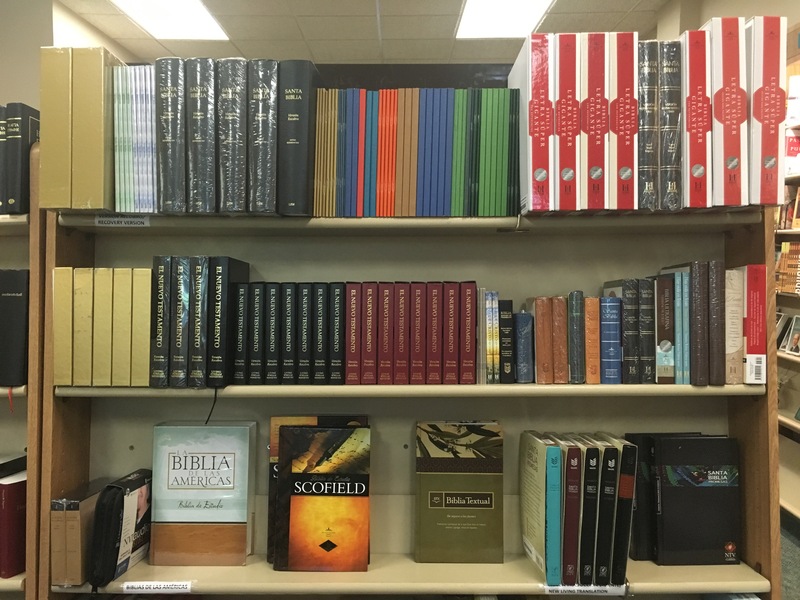 We are the only store in the Chicago area to carry the Recovery Version of the Bible. 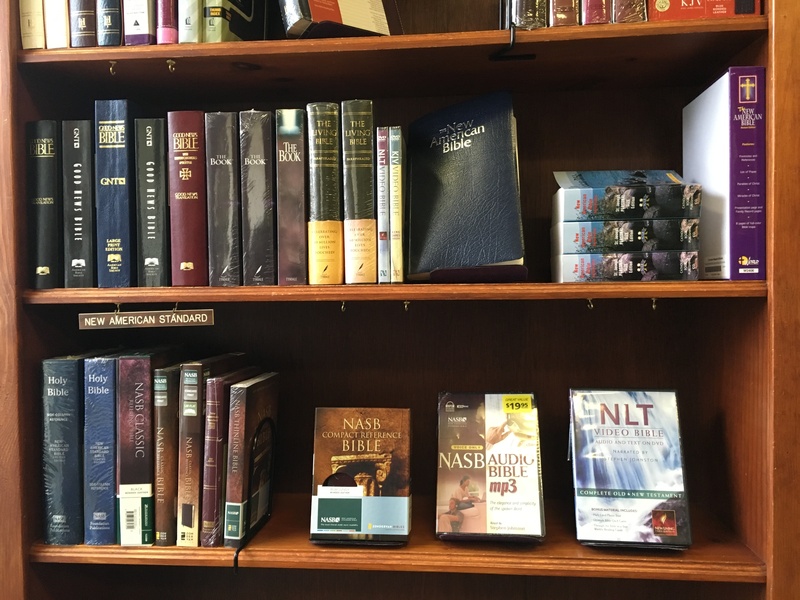 This translation, also known as the New Translation, was translated from the Hebrew and Greek by John Nelson Darby, associated with the beginnings of the Plymouth Brethren. 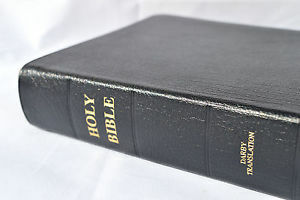 It was first published in 1890. 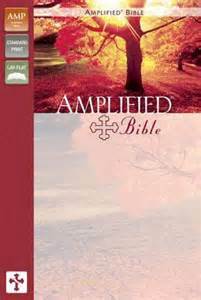 The Amplified Bible uses multiple English word equivalents to “amplify” meanings of Greek and Hebrew words. 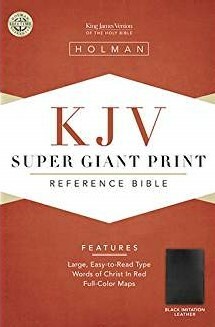 The easy to read King James Version giant print personal size reference Bible features many of the same helps as other editions twice its size, including a presentation page, giant print concordance, end-of-verse references, words of Christ in red, four-color maps, ribbon marker and more. 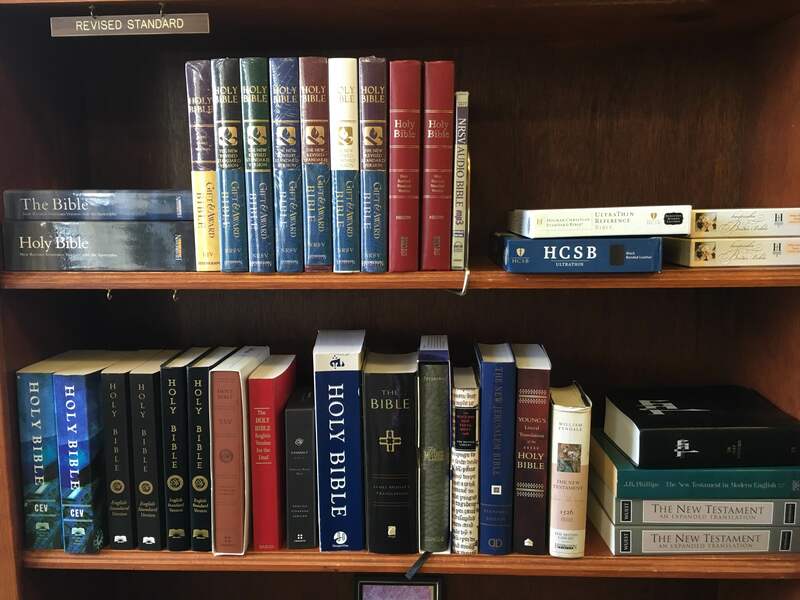 The New King James Version is the modern translation of the Bible that was published by Thomas Nelson in three installments from 1979 to 1982. 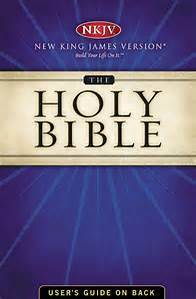 It is translated to contemporary language by 130 respected bible scholars with respect to the original King James Version of 1611. 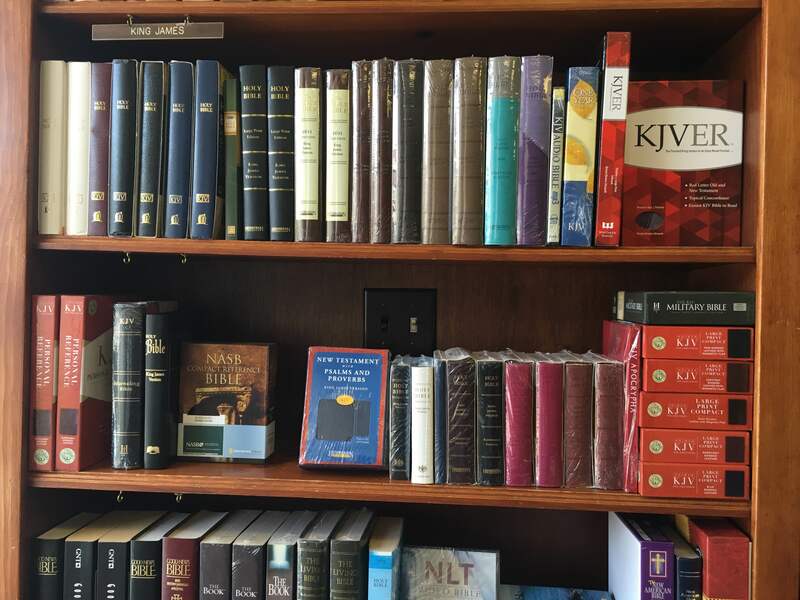 This recording, which is read word-for-word by narrator Stephen Johnston, features the KJV (without background music) delivering the complete text of Scripture – over 70 hours in mp3 format. 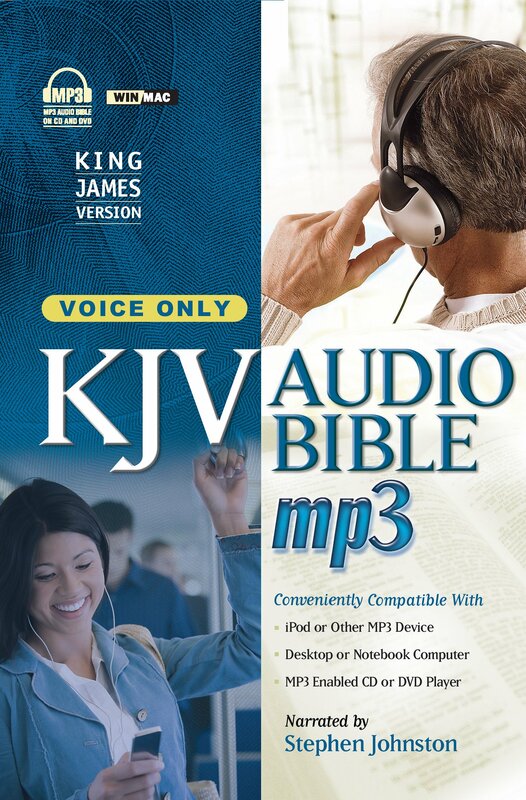 The DVD also includes an easy to navigate PDF interface for Macs or PCs, with access to a variety of Bible listening plans that can also be loaded as playlists. 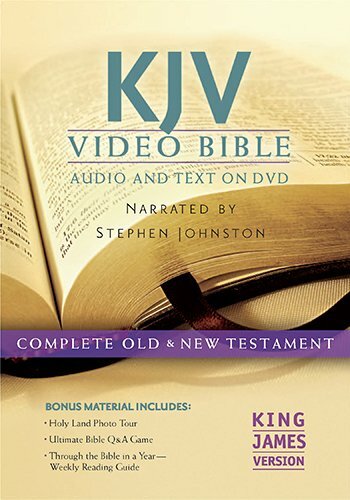 This recording of the King James Version Video Bible narrated by Stephen Johnston includes a dramatized multi-voice narration of the Old and New Testaments, along with the Through the Bible in a Year Weekly Reading Guide, which allows you to see and hear the complete Word of God in a convenient 52-week format on your television or computer. 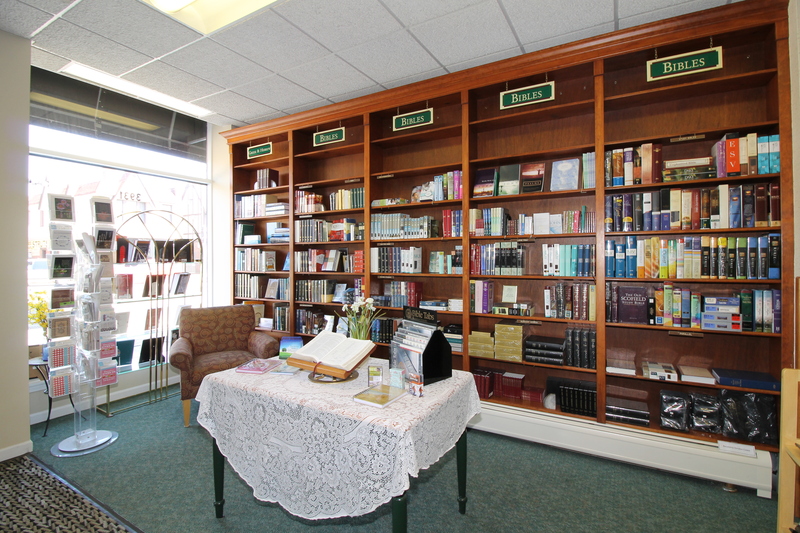 Features various interactive viewing and listening options. 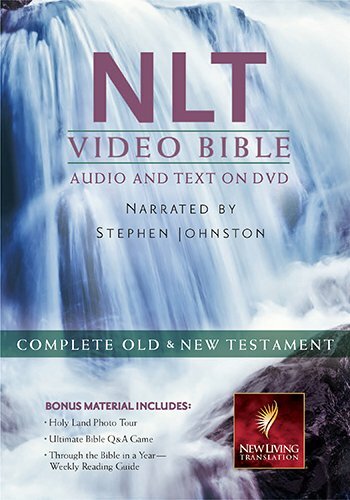 This recording of the New Living Translation Video Bible narrated by Stephen Johnston includes a dramatized multi-voice narration of the Old and New Testaments, along with the Through the Bible in a Year Weekly Reading Guide, which allows you to see and hear the complete Word of God in a convenient 52-week format on your television or computer. 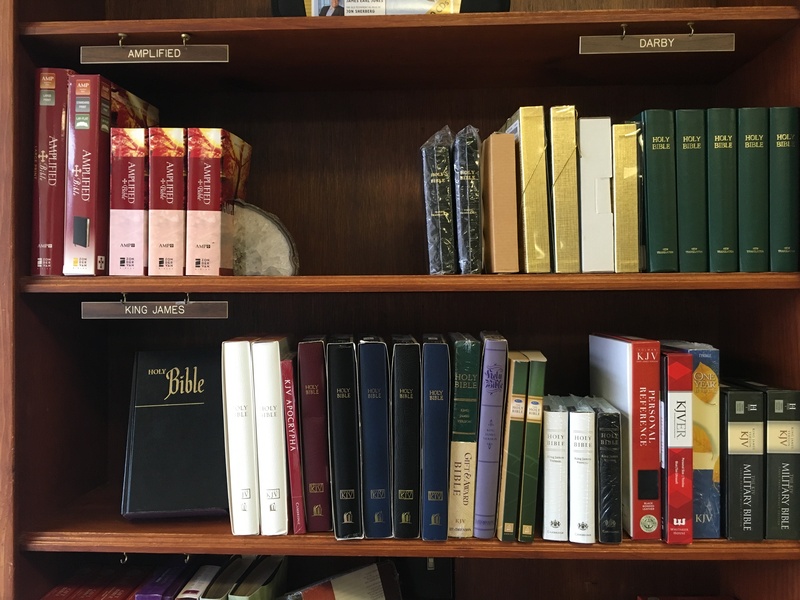 Features various listening options including. 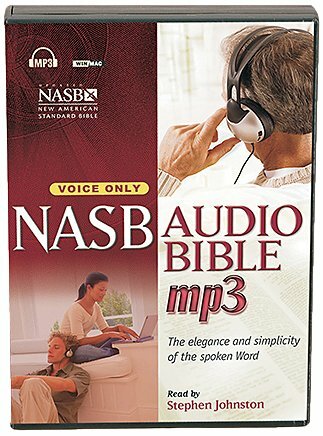 This recording, which is carefully read word-by-word by narrator Stephen Johnston features the New American Standard Bible (without background music) delivers the complete text of Scripture – over 70 hours in mp3 format. 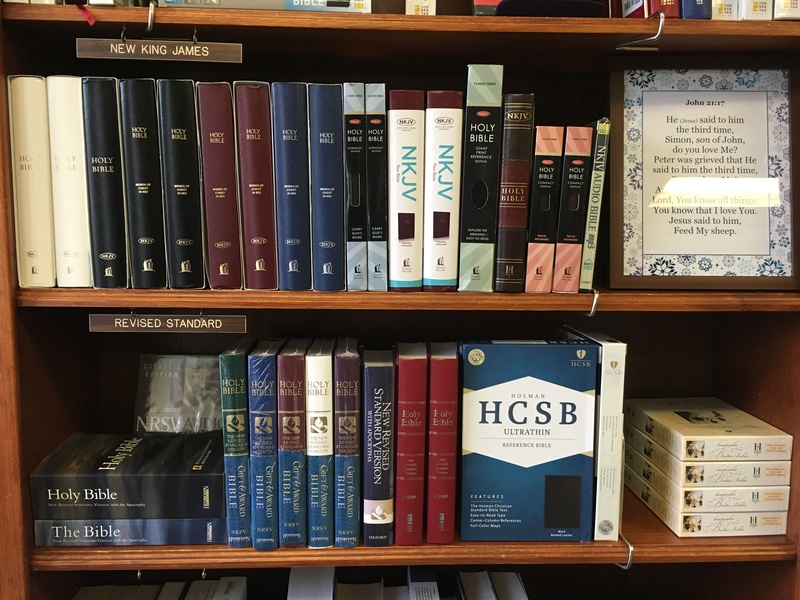 The DVD also includes an easy to navigate PDF interface for Macs or PCs, with access to a variety of Bible listening plans which can also be loaded as playlists.